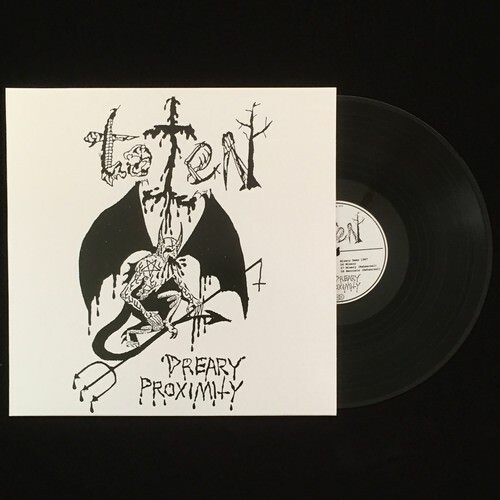 In 1987, following a brief stint in the nascent death metal band Revenant, Paul Ledney founded Toten, a band whose two recordings count among the very first examples of black metal to have originated in the United States. Mostly overlooked in favor of Profanatica, the notorious cult that later arose from its predecessor’s ashes and also bears Ledney’s cursed birthmark, Toten’s “Misery” (1987) and “Macabre” (1988) demos arguably follow only Goatlord’s “Demo ‘87” as the earliest U.S. black metal releases. 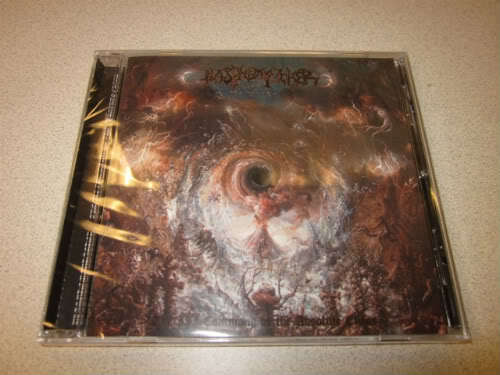 Moreover, these recordings also served as the blueprint that Profanatica then expanded during its most significant demo and EP era from 1990 to 1992, a legacy of sacrilege that would come to be recognized as one of the most influential in the history of black metal. On the first of the Toten demos, “Misery,” Ledney (drums/vocals) was accompanied by John Gelso (guitar/bass), who would later rejoin Ledney in Profanatica. “Misery” is comprised of three tracks, two of which were taken from rehearsal recordings. The non-rehearsal version of the title track is the most polished of the three and is unique from the other two versions of the song also included in this collection in that the vocals are more heavily saturated in effects. 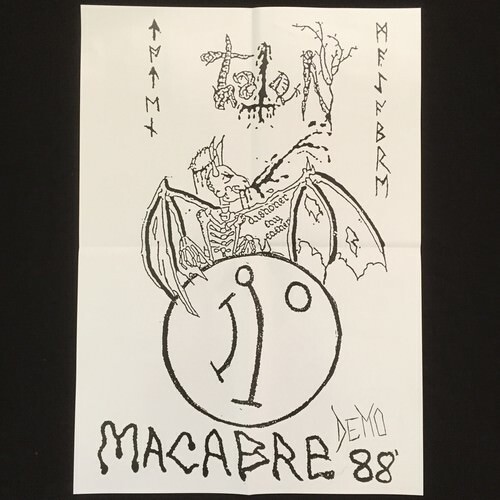 The two rehearsal tracks are predictably rawer and feature vocals delivered in a demonic whisper, which perhaps served as an influence on the similar style that was famously adopted by Demoncy on “Joined in Darkness.” The second demo, “Macabre,” includes five tracks that were recorded more purposefully, and thus the audio quality is substantially improved. Each instrument, including the vocals, is mixed at an appropriate level, which would have made this recording fully suitable for a more formal presentation as a mini-LP, had the opportunity been made available. A third co-conspirator, Alex Gabriel (bass/backing vocals), was summoned to appear on this second demo. The “Macabre” demo showcases one of the features of songwriting that Ledney would carry on in Profanatica, which was the occasional tendency for all instruments to stop at the same point in a given song with a vocal shriek interrupting the momentary silence and bridging the gap to the next section of the song. Nuclear War Now! Productions first reissued the Toten demos in 2005 as half of a split CD with Contravisti, a band in which Gelso was later involved but one that played a significantly different variety of black metal. In order to highlight the importance of Toten’s role in shaping the eventual development of the most blasphemous forms of black metal, NWN! is pleased to now offer both demos in their own right on twelve-inch vinyl format under the collective title “Dreary Proximity.” The audio source used for the CD has been remastered for vinyl by James Plotkin, and the result is one in which the sound quality on the “Misery” demo, in particular, is noticeably improved. The reverse side of the vinyl is emblazoned with an etching of the same ungodly artwork as that of the cover image, and an A2 poster is included with several previously-unseen photos. Although both original members of Toten have garnered greater attention for their contributions to more recognized bands like Incantation and Profanatica, this release represents an important cornerstone in the foundation of black metal, both in the U.S. and beyond. Dementia “Reticulation” Die Hard Picture 7″ ANTI-GOTH 129 Check out a track here. Picture disk version is now sold out. The second pressing of “The III Command of the Absolute Chaos” CD is back in stock. Click here to order.